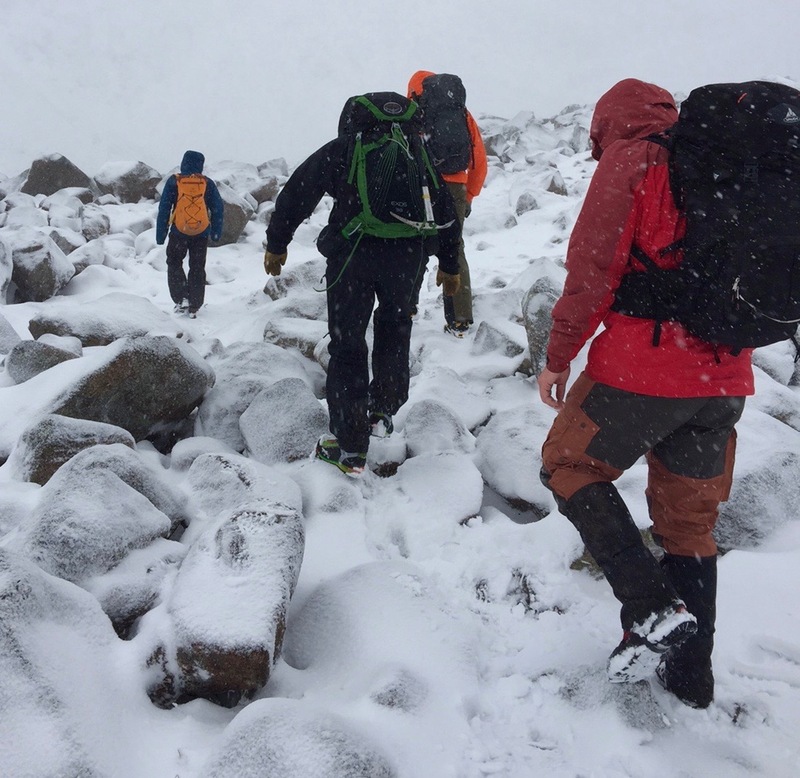 Wintery conditions arrived just in time to make this weekend exactly the tough mountaineering experiecne it was cracked up to be. 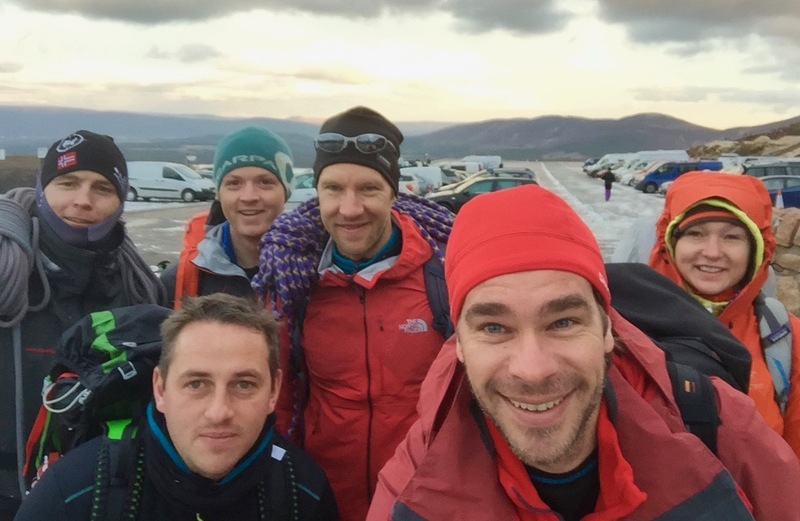 Fun mountaineering, moderately technical terrain, great training & company but with robust wintery weather giving the ideal rosy cheeked winter mountain training experience. 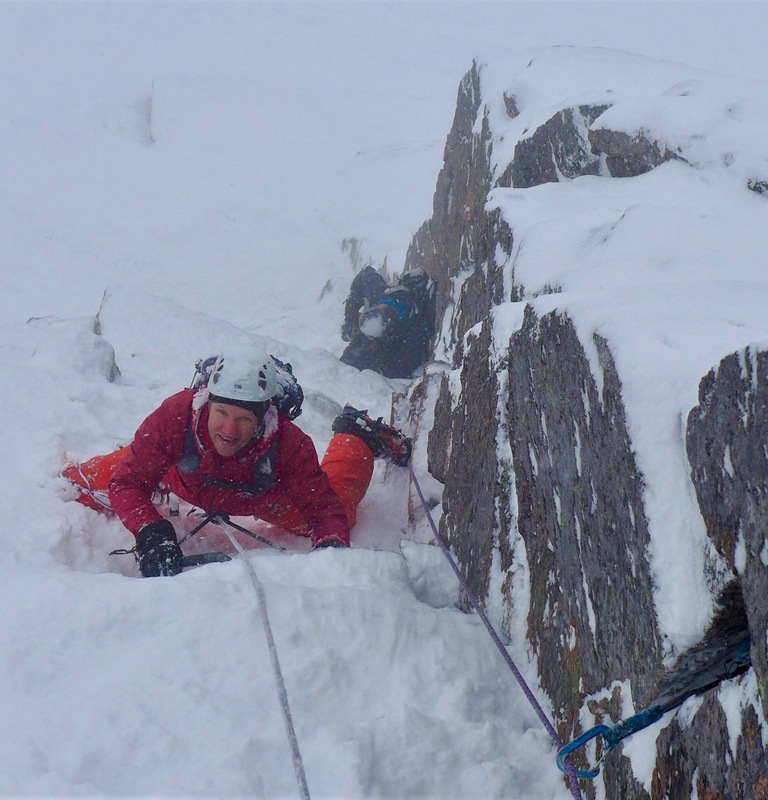 Well done to the team who completed the weekned in style including introductory Matterhorn talk, movement skills training with boots, crampons and ice axe, some good routes like the Twin Ribs, Fiachail Ridge, Haston Line and Hidden Chimney Direct as well as lots of general mountaineering practice whilst journeying through the winter mountains. 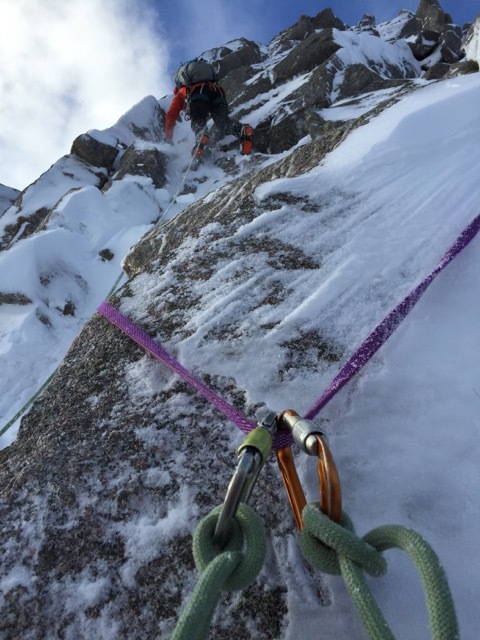 Next stop, spring in the Western Highlands where the training progression continues with hopefully some good stiff re-frozen snow, clean ice and dry rock whislt doing some magnificent long routes on the North Face of Ben Nevis. All bulls eye alpine training! thank you very much to you and the guides for this fantastic, amazing, instructive weekend experience! The guides were great! The weather was like promised and as you wrote and can see, we all had a lot of fun as well. Would be Great to have the Session in April with them as well. Thank you Tamsin, Chris and Culum!